I and many others have pondered the relationship between modern video games and movies. Whether certain games are decuple-length or more movies, or whether certain video game studios should simply go into making movies. 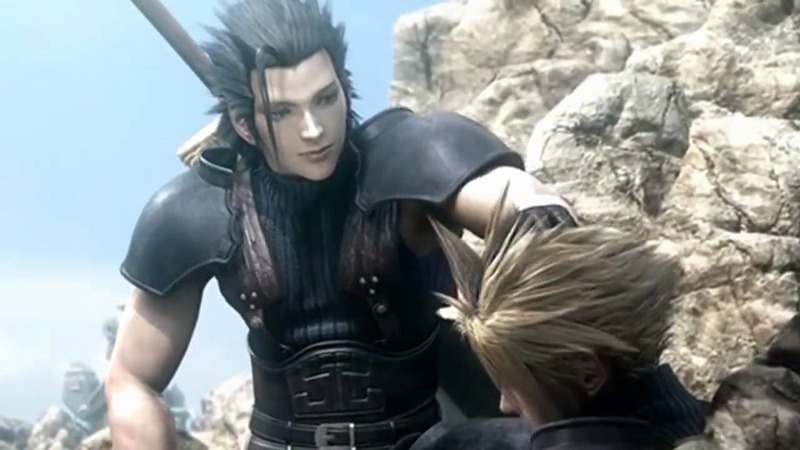 Watching a cutscene compilation of Final Fantasy VII: Crisis Core, the difference is becoming very plain to me. The cinematic quality of a well-crafted, complete video game is not entirely within the FMV sequences. Parts of it are, but generally, those sequences are either a break in the tension or intended to amp you up for the true cinematic moments: the gameplay itself. There are often faulty areas in the gameplay as well, but once the FMVs are stripped of the gameplay, their weaknesses become apparent in a way that they never are while you’re playing. Speaking specifically of Crisis Core, it’s clear that this has no intention to be a movie. The acting is second-rate: better than the average person could do, but not good enough to get hired for a TV show. Considering how closely linked acting and directing are, I think it’s safe to assume that it’s of a similar par. Some scenes have epic cinematic scores, and some just…don’t. Much of that is saved for the gameplay. Beyond this, the plotting works entirely differently. With video games, attention is kept by keeping the audience active. Mini-games that are incredibly boring to watch are, at least, active if you’re the person playing them. Ditto with routine action sequences that would be cut from any film or novel. The inclusion – NECESSITY – of these scenes for many story-based games means that it’s a fundamentally different sort of storytelling than would be used when making a movie. Both can be learned, but the key there is that practice and success at making one is completely independent from practice and success at making the other. This may be a factor of why video game movies tend to fail. The ideas behind Final Fantasy VII: Advent Children might have made a much better game than they did a movie. Certainly, adaptations from game to movie and vice versa tend to fail more often than between screen and print, and to someone who hasn’t studied story it’s not always apparent. None of this is a certainty, and I certainly haven’t tested it with any scientific rigor, but the differences between how the audience interacts with a game compared to a movie are a testament to this theory. It’s certainly something to think about, and it makes it a little easier to forgive adaptations that seem to be complete failures despite great source material. NextNews and Updates: Geek.Kon 2017!